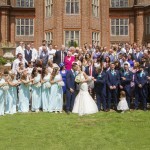 YOUSEEE wedding photography - great reliable photography in Kent. It all starts with the 1st step. 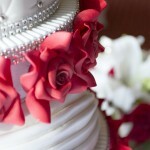 Call, Text, Email or even Facebook message me to discuss your wedding and what you want. 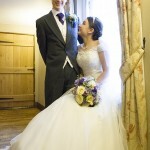 If all is OK, book as soon as you can to ensure I’m free for your special day. Meet up usually 2 weeks before to discuss your day. Go through the planning and timings of the day and any special situations I need to be aware of. 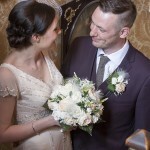 Sometimes it is relevant to arrange to meet up at the venue for the “dress rehearsal” and speak to the people running your wedding to ensure we are aware of any restrictions they may have. And a chance for everyone to check their SatNav systems. Once you have all of your pictures presented to you on a CD or USB you can then start the task of sorting through the pictures and finding you favourites or put together in an album. We can help with advice or offer album, picture book packages or even a canvas. Just ask. 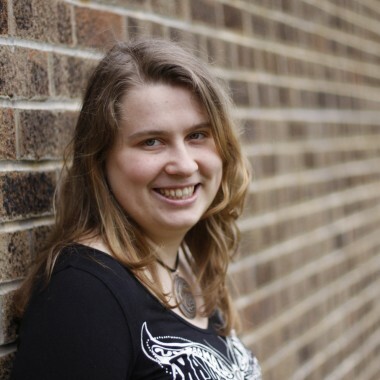 Normally (unless you request us not to) we will put your photos in our shop for friends and family to purchase high quality photographs and more. 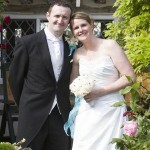 Wedding couple stop for a chat in their venue, a stately home. Wedding couple about to drink champagne in their wedding car. 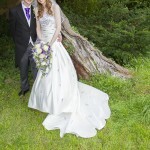 Wedding couple standing next to tree that is trying to be a veil. 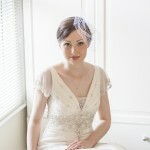 Bride string by bright window in wedding dress. Wedding couple looking straight up whiles walking down some steps. Wedding couple Standing on a road/track looking off into the distance. 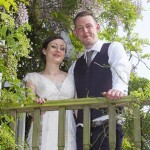 Happy wedding couple eager to show they want to stay together. 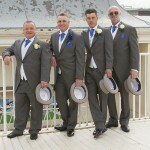 Grooms wedding party on the board walk at Dover posing on a white fence but the sea. Wedding bridesmaids jumping. Flower and hair in the air! 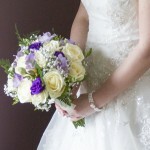 Wedding flowers for bride and bridal party. Wedding bride hitting groom over the head with flowers. I do not think he will need any hospital treatment. 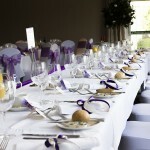 Wedding reception tables clean and tidy before the dinner. Keep smiling its not cold. Looking down from a balcony covered in lovey vines and flowers. Wedding groom about to walk down a sub way. Checking gloves on and back by a group of trees with great autumn leaves. 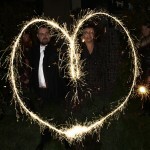 Wedding couple at night making heart shape in the air with 2 sparklers. 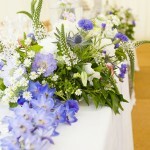 Blues, greens and whites in the wedding top table flowers. 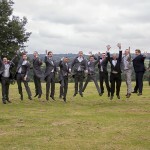 Wedding groom and grooms party get airborne. 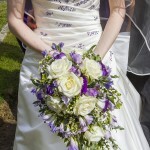 Wedding bride holding large bouquet of flowers. 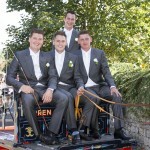 Lads arrive on a horse and cart. Stand tall smart and, oh look over there. Happy couple in front of old house. 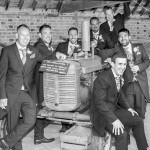 The lads on a vintage tractor. Wedding group picture with couple kissing and everyone pointing. 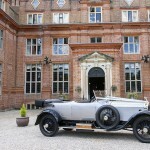 Rolls Royce outside at mansion with driver looking for wedding couple. Wedding bridesmaids looking at bride. Most of them sticking their tongues out. Signing wedding registry in direct sunlight. registrar pointing where to sign. 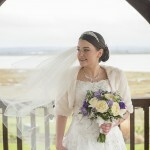 Wedding bride outside in a breeze. Happy wedding couple sitting and standing by window. 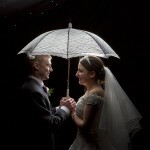 After the wedding, might be outside at night time with a parasol. Still in full wedding suit and outfit. Wedding lads on a floating pontoon about to sing or asking why? 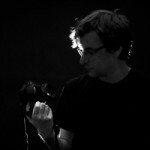 I have been a photographer since I was about 9. I took pictures on a school trip and they came out rather well and from that point I have never stopped enjoying photography. 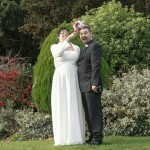 I have been a wedding photographer for a long time. 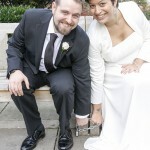 My first paid wedding I shot and developed all the images myself when I was 17 in my bedroom and my parent’s bathroom. This lead to my education always having a photographic edge. Finishing at Paddington College London, I was one of two 16 year olds with the talent that allowed me to enter. The majority of students being over 21. 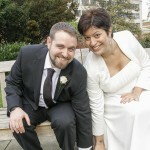 Many years later and I have the happy job of capturing photographs at a couple’s happiest day. 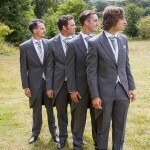 Using a photojournalist approach to capture the lighter moments of the wedding as well as the formal photographs everyone expects. 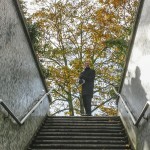 I am a portrait photographer, But I like to work more outdoors than in a studio. In my work I like to show the other things that are going on. When that uncle is not paying attention, or something happens that makes others laugh I will be shooting those laughing to capture the happiness. 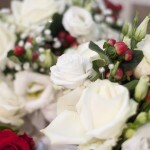 Seeing the details in preparation that is very important to a mum but no one else . I live in Sittingbourne, Kent. I see a lot of the local areas with fresh eyes with interesting cities like Rochester and Canterbury so close. In an age where what you had today will be 10x better tomorrow there are standards you have to keep to ensure our gear is able to keep up with the photographers. All my zoom lenses are canon L series famous for quality and durability along with my ever changing camera. The resolution and quaintly from cameras is moving so fast I have too as well. I use Adobe Photoshop CC which is continually upgraded as new versions come. I normally give a DVD or USB of all the finished pictures to clients in a presentation case. No hidden charges. No worries. Once you have booked and paid for your wedding there will not be another bill to remove copyright logos form you picture. Just all you would expect. All your pictures ready to go!